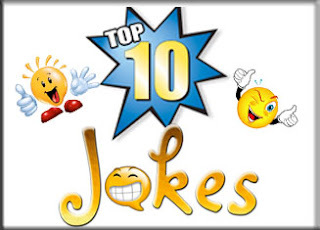 In the recent post we posted the Top 10 Cutest Cat Pics, This is the time for the Top 10 funniest jokes in this world that are clean and made for kids and family. 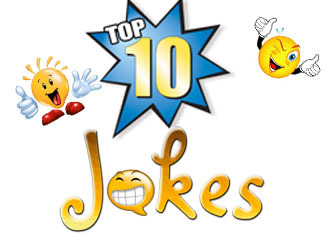 Here is the list of World's Top 10 Funniest Clean, Short SMS, Family Funny Jokes that you have ever on web or on Google. Share with your family and friends. A young boy has come to meet a man saying that he wants to marry her daughter. Father: What do you do? Boy: I do robbery, stealing, murder etc. Father: But that are all the negative activity. Is there any positive thing that you have? Boy: Oh, yes sir. I am HIV positive. A dad is talking to his little son. Dad: What you do when I become angry with you? Son: Actually I go to the toilet, dad. Son: I just clean the toilet. Dad: That’s strange. Why do you do that? Son: I just use your toothbrush to clean the toilet! Two businessman talking to each other. Man 1: Do you know about newspaper advertisement whether it really works or not? Man 2: It really works, because last week I advertised in newspaper that I need a night guard for my store. And that night my store was stolen! Mother: Son, there were some sweets in the freeze for guests. But now there are only two. I am sure it was you. Son: Sorry mother, I didn't see the rest of the two because of the load shedding. Man: As a virgin you are in the risk to travelling by yourself for the world tour, do you know that? Lady: Not at all. Cause I have learnt one sentence in all languages of the world. So I will be safe. Doctor: Analyzing your physical condition I have found that you have food poisoning. So you need to take one cup of hot water every morning. Patient: I drink that every day! But my wife called it tea. Matchmaker: The girl that I am suggesting for your son is very sweet. Client: Then this wedding should not be happened. Client: My son has diabetes. Wife: Wouldn't you cry for me if I die? Wife: I don’t believe you. Husband: Okay, then take my test now. Wife: Darling Today is our anniversary, what should we do??? Teacher: Do not you know the meaning of the word (talkative)? Teacher: Suppose you saw a man say, and say empty words, then repeats, what is? The student replied: to be a teacher.